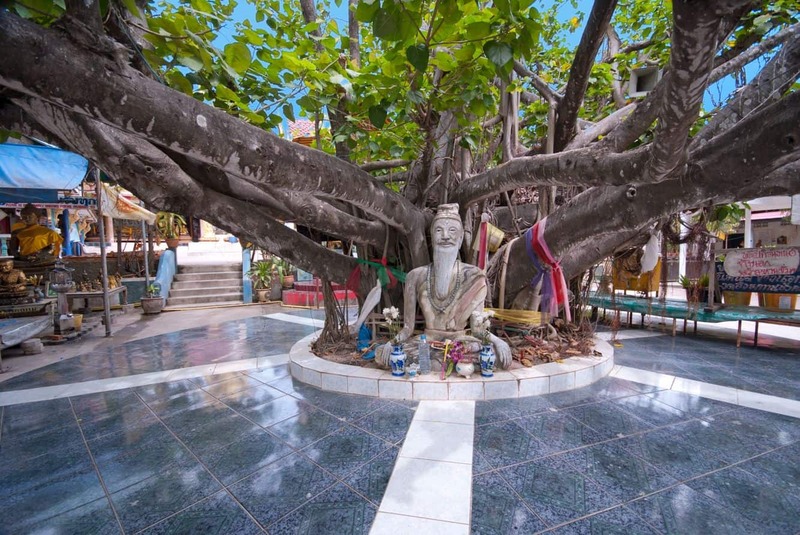 Koh Samui’s most famous wats include the popular Wat Phra Yai near Chaweng beach. This wat is known for the Big Buddha statue as well as its beautiful sculptures. Those interested in exploring the island’s rich Buddhist culture should consider taking a tour of the area. The stunning Wat Phra Yai is home to some famous ancient Buddha images and numerous modern artworks. In addition, the temple site also features fabric and souvenir stores for visitors who wish to take home a memento. 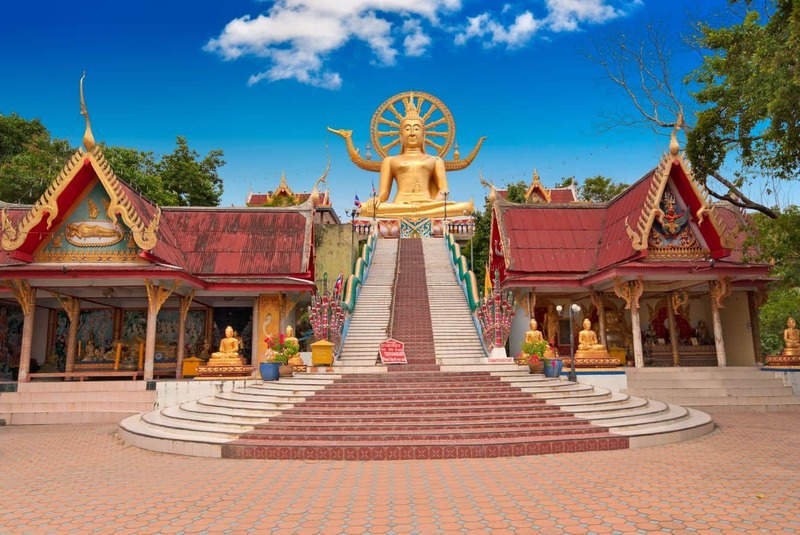 The wat’s remarkable Big Buddha statue is one of the most famous Koh Samui landmarks which you can see from the air as you descend into Koh Samui. 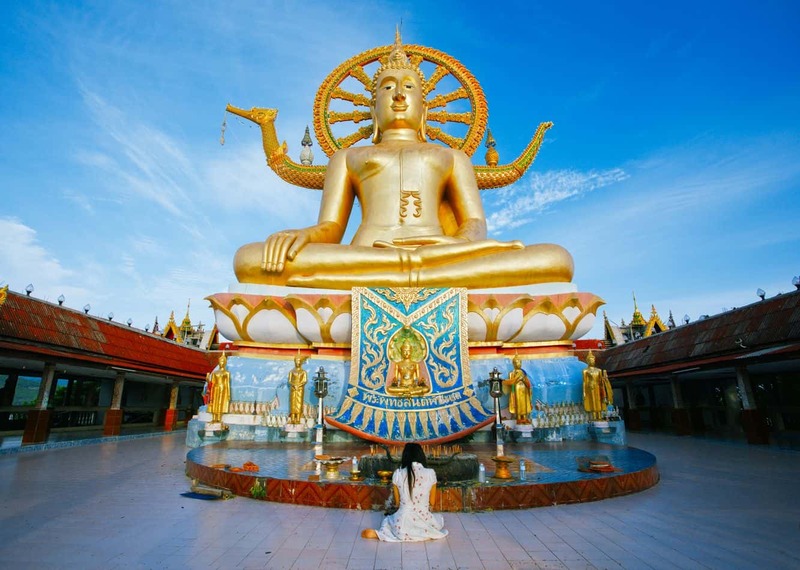 Sitting in an upright position at over 12 metres tall, the golden Buddha statue is visible from several kilometres away. At the base of the statue, you will find several shops and restaurants where you can purchase clothing and souvenirs. Some stores also sell small sculptures and idols of the Big Buddha statue. This famous landmark will delight visitors with its beauty and many residents believe that the Buddha statue is the guardian of this island. Devotees come to Wat Phra Yai to offer prayers, make offerings and to light incense. Buddhist devotees come to this wat daily in order to pray and worship. This beautiful setting is spotlighted after the sun sets, therefore the golden idol of Buddha is radiant even at night. The lights enhance the look of the Buddha in the evening which truly makes it a beautiful site for visitors at any time of the day. There are many viewpoints around this wat and visitors can enjoy excellent coastline views from these vantage points. 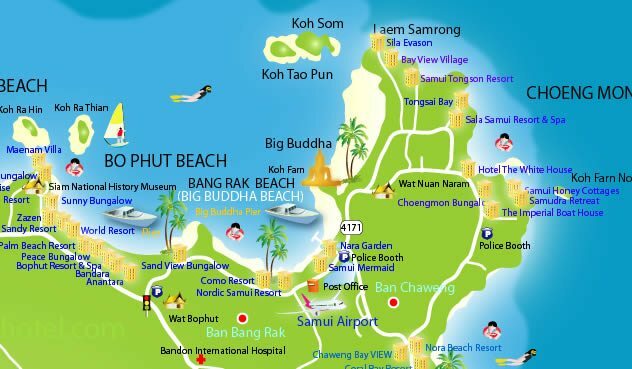 Wat Phra Yai is very close to Koh Samui’s airport and in finding your way is relatively easy, just take route 4171.